In 2018, Champions of the Flyway first time focused on two countries as we confronted the illegal killing of birds in Croatia and Serbia. Joining forces with Biom (BirdLife Croatia) and Bird Protection and Study Society of Serbia (BirdLife Serbia), this project aims to protect critically important passages in the eastern and western Mediterranean Flyways as well as the Adriatic Flyway. 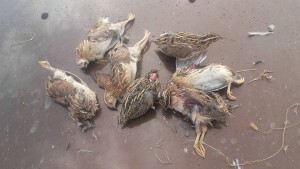 More than 50,000 quails have been illegally shot in the area, together with numerous waterbirds, raptors and other soaring birds. We must act now to protect these critical migration routes. One of the most widespread issues, common for both countries, is the illegal use of tape lures during quail hunting. The problem is often ignored by law enforcement officers because it is practiced during night and on weekends. 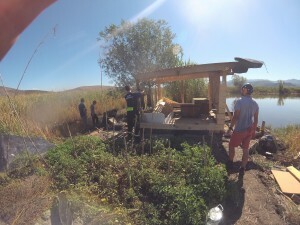 Due to low motivation and inadequate capacities within environmental and hunting inspections and the police, governmental control has been ineffectual. In the meantime, BPSSS in Serbia has established an effective team in combating illegal killing of birds and Biom in Croatia has been locally successful by taking legal action but they are still struggling to get the wider recognition of the issue among responsible constituents. Biom and BPSSS have proposed exciting, on-the-ground projects that can make a real difference in the battle against widespread illegal killing of quail and other migratory birds. With the help of the 2018 Champions of the Flyway campaign, they intend to partner and leverage each other’s strengths to get the job done. By organizing workshops and training sessions for volunteers and members, making regular visits to bird-crime hotspots, establishing and supporting a database of illegal killing of birds, the project aims to establish a functional team for monitoring bird-crime related issues in Croatia and to enhance the capacity of Serbia’s existing bird-crime team. COTF monies will also help collect data on bird-crime related issues and promote conservation of birds and wildlife. Both Biom and BPSSS are keen to include law enforcement officers in workshops, training and field actions. These conservation teams are from countries that have a rough political past but a bright birds conservation future. Through birds, we will once again transcend political boundaries to work together for the protection of nature. Birds indeed know no boundaries, and it is up to us to speak up and protect them because they deserve to fly in peace! 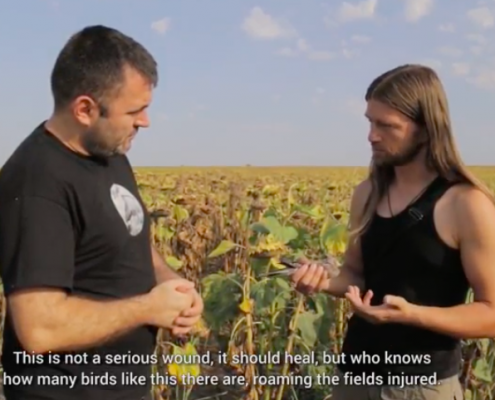 Please watch this documentary from Milan Ružić that brutally shows the scope and scale of the illegal killing of birds on the Balkans.